This weekend is Skills and Leadership weekend at Ziontario. Skills and Leadership is, above all else, a training retreat for everyone who will be on staff for the various reunions and camps planned for this summer at our four campgrounds in Canada East Mission. Directors, Business Managers, counselors, leaders in training, cooks, nurses, camp pastors and others will gather to learn what the Camping Commission has been working on for the past several months, and to improve our level of readiness. And they have been working. I do not know all the things the Camping Commission has in store for us, but I know some of it. How do we keep our campers safe in the event of a natural disaster? Do our camp ground boards have plans in place? Do the directors and staff know what those plans are? Do we know what to do if an intruder (human or animal) comes on the grounds? Where do we go if there is a tornado? 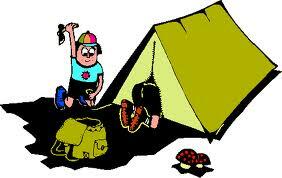 What should be the camp policy on the use of cameras and smart phones or other electronic devices? Given both the risks and blessings of social media so instantly accessed from a smart phone these days, how do we keep campers safe without dampening their fun? And that is just scratching the surface! But the weekend is intended to be for more than just camp staff. Perhaps the name says it best, Skills and Leadership. The weekend is intended to impart skills to anyone who wants to improve their leadership, whether at camp, in a congregation, or wherever you work and serve. It offers skills training and leadership tools to anyone who comes, for free! It is the best deal going, and one that is not nearly enough appreciated. As I sit down to pen these words, long awaited and much needed rain is pelting against my study window. Oh-oh! How many people will see the rain and decide not to go? I check the forecast. 100% chance of rain today (Friday), but only a 40% chance of showers tomorrow (Saturday). Whew! Of course the rain is really not a big deal, is it? After all, Skills and Leadership classes are held inside nice, warm, dry buildings. Picture yourself hanging out with friends around a nice warm fire burning cheerfully in that lovely, stone fireplace! Still, humans are humans and some will be tempted to take the easy way out. If they do, they will miss a great opportunity to learn skills and strengthen their leadership. How about you; will you be there? Even if you don't receive this post until Saturday, you can still come. Rain or shine, I guarantee you will learn something. What is more, you get to hang out with some great people, eat great food, and have a good time. Skills and Leadership; what a deal!